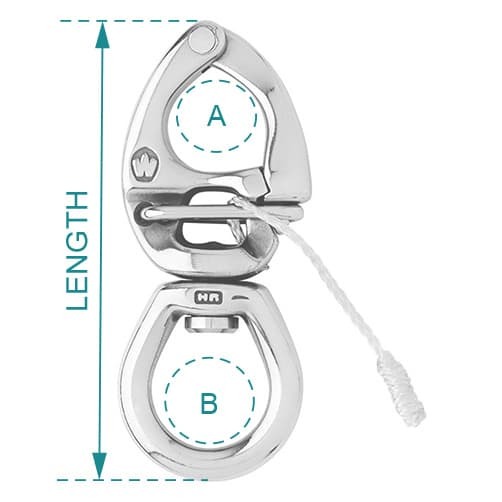 Stainless steel snap shackle with free rotating large bail swivel offering the capacity to attach several lines, clever design with quick release lanyard mechanism for easy operation, suitable for numerous applications in highly corrosive marine environments. Snap shackle with large swivel eye forged from high resistance 17.4PH stainless steel to a superb finish. Outstanding working and breaking loads. Control line for easy release. Swivel bail rotation provides free movement of rope and reduces the risk of tangles and knotting.